In 1959 the Ukrainian community in Canada embarked on a significant undertaking – to place a monument to Taras Shevchenko, Ukraine’s national poet, on the grounds of the Manitoba Legislature. $175,000 was raised for this endeavour. Two years later, on July 9, 1961 nearly 25,000 Ukrainian Canadians from across the country gathered in Winnipeg to witness Prime Minister John G. Diefenbaker officially unveil the monument. The fundraising for this monumental project led to a surplus of $30,000, which was invested into an endowment fund dedicated to the preservation and development of Ukrainian culture in Canada – the Ukrainian Canadian Foundation of Taras Shevchenko. Through the efforts of Senators John Hnatyshyn, William Wall and Paul Yuzyk, and MP Nicholas Mandziuk, Bill S-21 – “An Act to Incorporate the Ukrainian Canadian Foundation of Taras Shevchenko” was successfully introduced in the Canadian Parliament, and signed on July 22, 1962 by Governor General G.P. Vanier. The Ukrainian Canadian Congress (UCC) appointed the first Board of Directors, and in 1964 the Shevchenko Foundation was officially launched. Dr. Isydore Hlynka was founding President of the Foundation, serving for its first fifteen years. 1964 The first grant of $400 is disbursed. 1965 The first large grant of $5,000 is awarded to UCC for the publication of 3 books: The Ukrainian Poets 1189-1962, and The Poetical Works of Taras Shevchenko both translated by Andrusyshen and Kirkconnell, and Taras Shevchenko the Artist by Keywan. 1967 The Shevchenko Foundation receives charitable status. 1968 The first largest single grant of $5,000 is made in support of the development of audio-visual methodology and materials for teaching Ukrainian language in public schools. 1969 A donation of $10,000 from the Ukrainian Literary Society of T. Shevchenko, Kenora, ON is received. 1971 The Foundation is accepted as a member organization of the UCC. The President of the Foundation becomes a member of the UCC Board of Directors. 1978 The Foundation reaches its first one million dollars. 1981 The Foundation reaches $1.5 million dollars. 1987 The Foundation receives its first designated fund from Stefan and Maria Yankowski of Winnipeg MB. 1989 The Foundation purchases one-half interest in the land and building from UCC located at 456 Main St in Winnipeg MB where the offices of the Foundation are located. 1990 The Foundation disburses over $200,000 in grants. 1994 The Board of Directors appoint an Investment Committee with Wally Shoemay as Chairperson. The first meeting of the Investment Committee is held. 1995 The Foundation receives its’ first insurance policy gift. 1997 President Andriy Hladyshevsky, Q.C., initiates the Kobzar Fellowship Program. 1998 The first 11 members of the Kobzar Fellowship are inducted at a launch ceremony in Saskatoon. 2001 The Foundation launches its official website. 2002 The first Shevchenko bilingual Bookmark “Educate Yourselves, my Brethren” is issued. 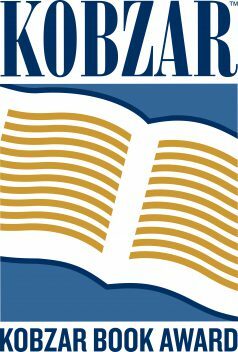 2003 The establishment of the Kobzar™ Literary Award is announced. 2004 The Avramenko exhibit is unveiled at the UCC Congress held in Winnipeg. The Walter Halchuk Memorial Book Award is established. 2005 Shevchenko Foundation office moves to a new home at 202 – 952 Main St in Winnipeg. Ben Wasylyshen creates a unique window art panel, The Foundation Window. The John Syrnick Journalism Award is launched and presented to Mark MacKinnon of the Globe & Mail for his coverage of the Orange Revolution. 2006 The first Kobzar™ Literary Award of $25,000 is presented to Danny Schur for STRIKE! The Musical and to Laura Langston for Lesia’s Dream. Anne Smigel is the first donor to the Kobzar™ Literary Award designated fund with a donation of $25,000. The KOBZAR Writer’s Scholarship at the Humber School for Writers is established. 2007 The first recipient of the Kobzar Writer’s Scholarship at the Humber School for Writers is Helen Pretulak. Victor Malarek receives the John Syrnick Award for Journalism. The Government of Canada grants $10 million to the Foundation to establish the Canadian First World War Internment Recognition Fund. The winner of the Kobzar™ Literary Award is Janice Kulyk Keefer The Ladies’ Lending Library and shortlisted are Marusya Bociurkiw for Comfort Food for Break-ups: The Memoir of a Hungry Girl; Roman Paul Fodchuk for Zhorna: Material Culture of the Ukrainian Pioneers and Lisa Grekul for Leaving Shadows: Literature in English by Canada’s Ukrainians. The first Night of Taras Fundraiser is held in Winnipeg MB to promote the Kobzar™ Literary Award and to build the Kobzar™ Literary Award Designated Fund. The Winnipeg Free Press receives the John Syrnick Award for Journalism for their coverage on the Holodomor. The Foundation goes on-line with credit card donations and a Facebook page. The Kobzar™ Literary Award is presented to Randall Maggs for Night Work: The Sawchuk Poems. Shortlisted are Elizabeth Bachinsky’s God of Missed Connection; Paul Laverdure’s Redemption and Ritual: the Eastern – Rite Redemptorists of North America, 1906-2006 and Murray Andrew Pura’s Zo. 2011 The Foundation celebrates the 10th anniversary of its bookmark campaign by distributing over 32,000 bookmarks to Ukrainian Canadian youth across Canada. Frederick Laval from the La Presse receives the John Syrnick Award for Journalism. 2012 Kobzar™ Literary Award is presented to Shandi Mitchell for Under this Unbroken Sky. Shortlisted are Larissa Andrusyshyn’s Mammoth; Myrna Kostash’s Prodigal Daughter: A Journey to Byzantium; Myroslav Shkandrij’s Jew in Ukrainian Literature: Representation and Identity and Rhea Tregebov’s The Knife Sharpener’s Bell. 2013 The Board of Directors approves a new logo for the Foundation. The Globe and Mail articles written by Brian Bonner, Hon. Derek Fraser, John Doyle and John Stackhouse receive the John Syrnick Award for Journalism. 2014 Kobzar™ Literary Award is presented to Diane Flacks, playwright, in collaboration with Andrey Tarasiuk and Luba Goy for the play Luba, Simply Luba. Shortlisted are Erin Moure’s The Unmemntioable, Michael Mucz’s Baba’s Kitchen, Barbara Sapergia’s Blood and Salt, and Marsha Forchuk Skrypuch for Making Bombs for Hitler. 2015 Shevchenko Foundation celebrates its 50th anniversary in Nanaimo, BC, Thunder Bay, ON, Halifax, NS, and other centres in Canada. As an anniversary project, Shevchenko Foundation releases a 3-disc compilation CD – Golden Harvest: A Musical Celebration of Ukrainian Canadiana, featuring songs and music by artists who had received funding from the Foundation over the years. 2016 Kobzar™ Literary Award is presented to Maurice Mierau for Detachment: An Adoption Memoir. Shortlisted are Grant Buday’s The Delusionist, Orest T. Martynowych’s The Showman and the Ukrainian Cause: Folk Dance, Film, and the Life of Vasile Avramenko, Marsha Forchuk Skrypuch’s Underground Solider, and Stacey Zembrzycki’s According to Baba: A Collaborative Oral History of Sudbury’s Ukrainian Community. Shevchenko Foundation launches its $20 million dollar Our Legacy Our Tomorrow Capital Campaign in Toronto (September, 2015) and Winnipeg (February, 2016).